Looking for a Tiffany & Co. baby shower banner and printable stationery? 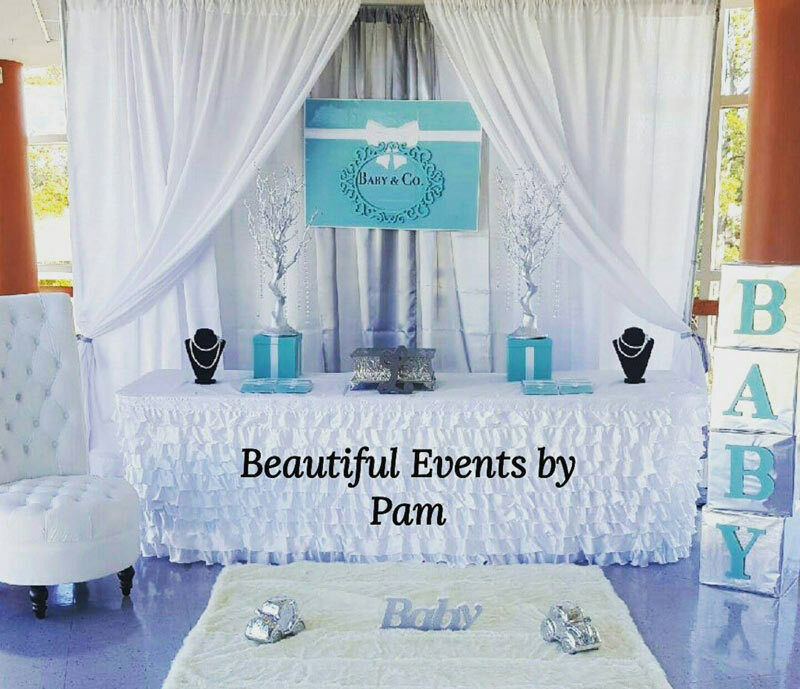 I’m sure you’ll agree with me that Pam from Beautiful Events by Pam has done an AMAZING job setting up an elegant Tiffany & Co. inspired baby shower showcasing our gorgeous printables – I love it! 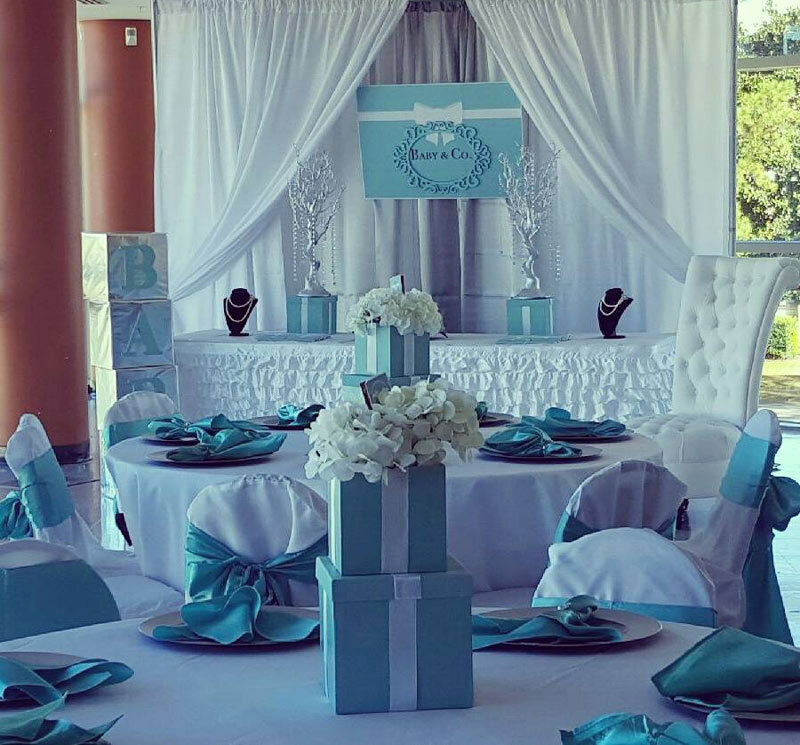 Our Tiffany & Co. inspired banner and printable chocolate/candy wrappers fit perfectly amongst the elegant Tiffany & Co. baby shower table set up.